My mom makes the best matzo ball soup. Ever. Part of the reason it’s probably the best is because she only makes it once a year at Passover. 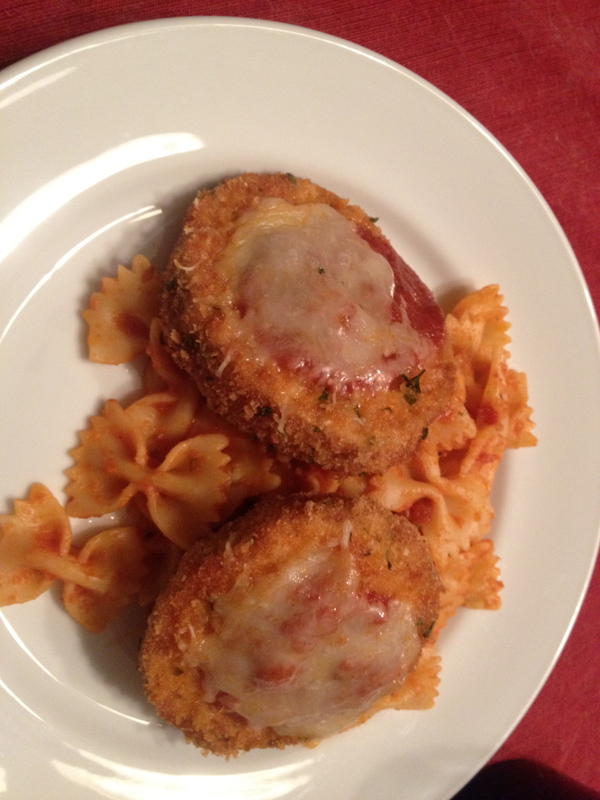 I think the recipe is a combination of one from Cooking Light and several family recipes from friends. It’s amazing. 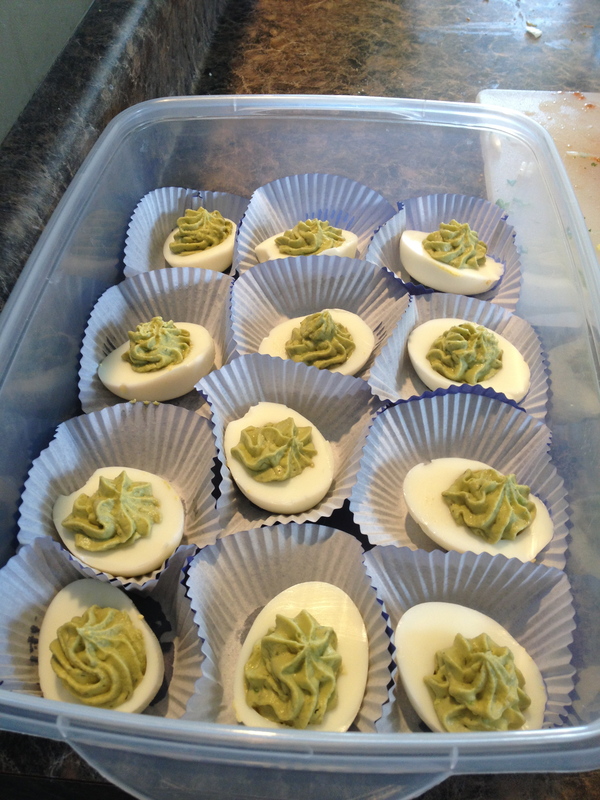 Since the first Passover J attended, he’s tried to recreate my mom’s recipe. We use the same ingredients and follow her directions, but it never turns out the same. After our trip to New York this summer, J decided to find the Carnegie Deli recipe. He finally succeeded with a few modifications of this recipe. Optional: top with fresh dill. Make stock : Combine first four ingredients with 6 cups water. Add Maggi seasoning (we found it in the Asian isle, it’s made by Nestle) and salt and pepper. Bring to a boil. Turn down heat and simmer for at least an 1 hour. In a large bowl, mix the eggs, oil, water, matzo meal, Maggi, salt, and pepper until just incorporated. Oil hands, then, working as gently as possible, form round balls about the size of a golf ball (but try to keep them loose or the middles won’t cook). 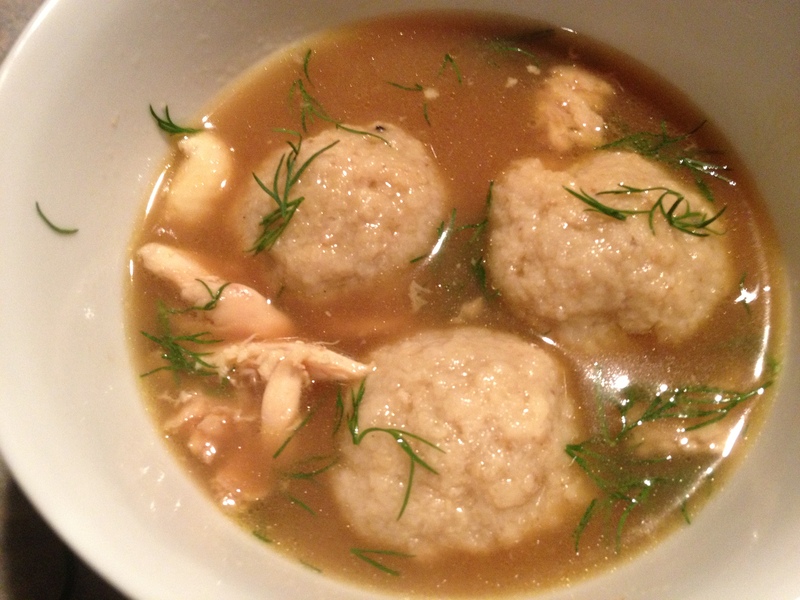 Boil matzo balls in stock until cooked through and soft, at least 45 minutes. Divide matzo balls evenly between four bowls, allotting two matzo balls and two cups stock per serving. Sprinkle with fresh dill and enjoy. It’s really close. The only part that wasn’t was J rolled the matzo balls too tight, so the middles didn’t cook quite through. We wound up with a couple of cans of left over pumpkin and in the quest for the perfect pumpkin soup, wanted to try a different version. This one is modified from the Mayo Clinic. In a large saucepan, heat oil over medium heat. Add the onion and cook until tender, about 3 minutes. Add the remaining pumpkin, broth, cinnamon and nutmeg. Bring to a boil, reduce heat and simmer for 5 minutes. Stir in the milk and cook until hot. Don’t boil. Ladle into warmed individual bowls and garnish with white pepper and green onion tops. Serve immediately. The happy medium lies in the combination of the last recipe and this one. 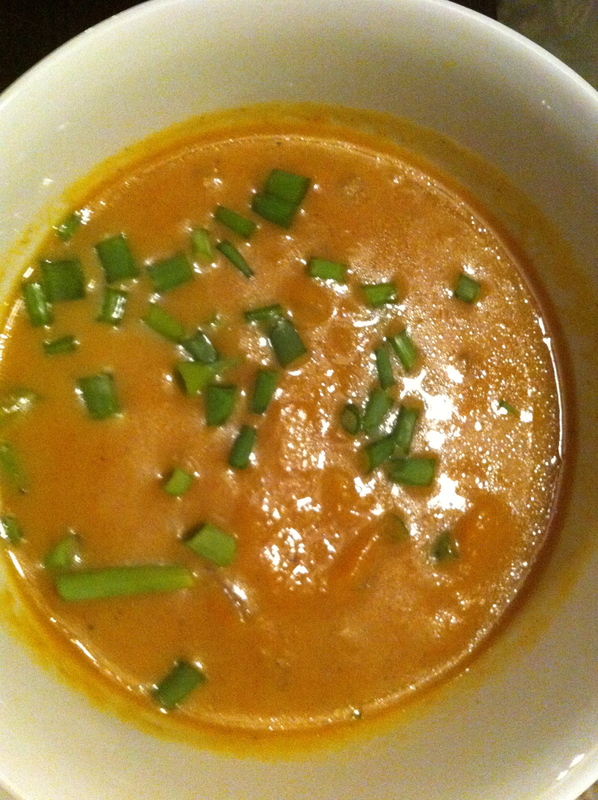 This was a bit too pumpkin pie in soup form for me. Now for the best part. 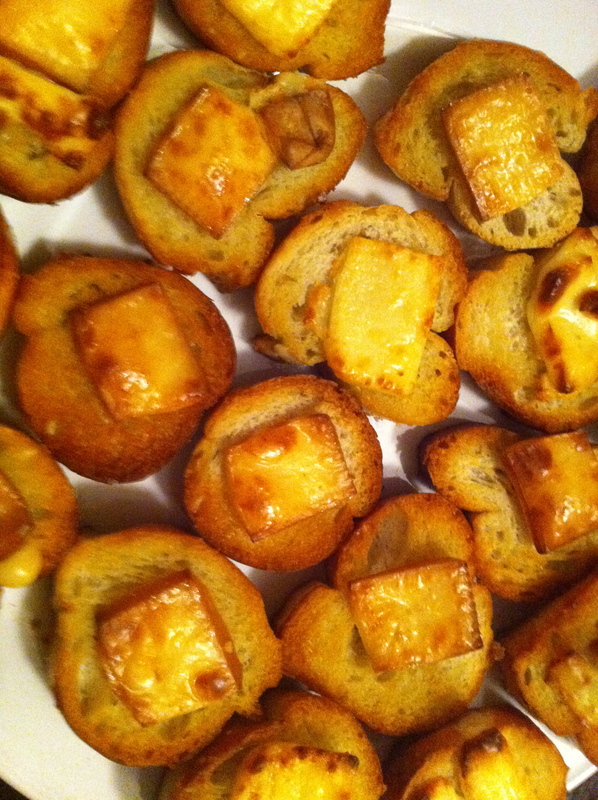 The Gruyère Toast. I could eat just this for dinner on a regular basis. Yum! Like I stated above, I love this toast. It’s great with tomato soup, chicken noodle and just by itself. It will be one of our go to dishes this winter!